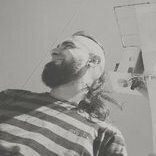 For all of you who are into Goa trance but still don’t know who Imba is, I suggest to start with his netlabel UAF Records and one of his first Goa trance projects – Space Elves (alongside with Arronax, CoaGoa and SETI Project), you will slowly get the feeling about his work, ideas and style. First Encounter is his debut full-lenght album, to be released on December 9th this year on Suntrip Records. Since Nikola Petrović (yeah, that’s guy behind Imba project) from Niš is owning me a couple of beers (and even more rakijas), I was blessed to get a digital copy of his new album fresh from mastering studio in return (Balkan Goa Mafia – it’s not a joke, it’s a reality), so instead of keeping it for myself, I decided to throw out few words about this release. It comes with 9 new tracks and believe it or not – only one remix and one collaboration track. Yeah, it became some sort of bad joke to call out Imba for making so much remixes or collaboration tracks, but hey, some of the best remixes released on our label were made by him (Cellar Door, Blessings From Irij). Take a minute to think about it. As I said, new album has a lot of solo material to offer and it kicks off with Imbaba track and his 303 trancers (not sure who are thoose folks, but it seems they like acid). At the first listen you can already be assured you’ll get Imba vibe, not Imba wanna be someone else vibe. It has amazing acidic lines, perfect groove and flawless arrangement. It doesn’t try to sound ‘big’ or ‘epic’ it delivers Goa-groove and nice ride. Few melodies come and go, but it’s not your casual melodic Goa, it’s Imbabagoa. First track and I’m already liking this. Judging by the name, Hidden Paradise should be more ‘serious’ track and guess what? It is. Unlike first one, Hidden Paradise brings more melodies, a bit more of oldschool vibe and some really interesting breaks filled with nice vocals. It’s not my favorite track on the album, but if you’re into more emotive and deep Goa music, this one might do the work. However, I would love to hear the same track but with a bit more diverse and recognizable climax. Cosmos In Her Eyes was the track that I had a chance to hear even earlier and I liked the version that has been posted, but this one seems a bit improved and upgraded. Unlike the second track Cosmos In Her Eyes has slightly better climax and more interesting details throughout the track. Perhaps it’s just me, but I find this one to be one of the better Imba’s works released so far. Ahhh here we go. Aliens. Yes, Nikola loves aliens and it doesn’t suprise me why he decided to choose this track as a release title (First Encounter). It makes absolute sense because it’s one of the better tracks on this album. Fast pacing, acid lines, invoking melodies and cool speeches. I’m liking it a lot and I think it will grow on me even more. Blacklight Beings starts with an unexpected intro – I would say it fits more to some psychill or downtempo music, but after the break it picks up to more straight-forward psychedelia. Not sure why, but it’s one of the lesser Goa tracks here. Unusual kickdrums and effects starts to appear, but not in a negative way, it just doesn’t feel right as previous tracks. I’m sure it’s more an experimentation (even it still sounds like Goa music, it doesn’t deliver that much of Goa for my personal taste). 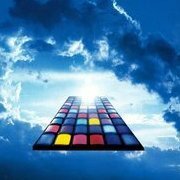 With Creature Of Heaven we have totally different story, more details, more melodies, more snares and build-ups. Without any doubt this will become a true dancefloor anthem. Not sure does anyone from Suntrip tested it already on some gig, but I have feeling it’s one of thoose special tracks to be played in front of crowd. I think this sums up pretty much what you can expect from Creature Of Heaven. Ohh, here is Ephedra. And he doesn’t like digital things, just like Imba. Well, unlike the digital non-sense, this collaboration track got a lot of sense. It’s enjoyable Goa ride, spiced up with Ephedra flavour just in perfect moment to make this album even more interesting. I don’t know who Lydia Delay is, but the remix is another nice track on this album. It leans more towards classical trance sound with big and epic melodies, not chessy, but… you know, just trance. What makes the difference here is Imba’s capability to put enough of Goa ingridients to make it sound enjoyable and danceable. Not my favorite track, but it has nice groove. Last track on this album – Rising Sun isn’t a downtempo. Shocker! Yeah, I expected some downtempo or goachill for the ending, but Imba doesn’t agrees, he wants to finish this album in style so you will go through 9 minutes of really mystical, but fast-paced Goa music. Not sure why, but this track reminded me on one old Trancemaster compilation tune – it also has catchy lead melody. Nice track for the ending. So was it good? More than that. There are many reasons why I consider First Encounter more than just good. First reason is because we worked on Impossible Astronaut release for Neogoa earlier this year, and somehow I couldn’t put enough of attention towards this (newer) material. The other reason might be really nice Suntrip release schedule for this year, including a bit more anticipated releases (at least in my case) such as Ra or Morphic Resonance, so Imba wasn’t on the spotlight for me. I guess I was wrong because this album brings exactly what it’s supposed to be – Imba sound. If you’re one of thoose guys who followed him around since his first compilations on Phototropic or UAF Records, you’ll know what you can expect. It doesn’t try to be different or someone else, it’s realistic, it brings groove and it’s more or less straight-forward Goa music. I can say it’s a little bit linear on certain parts, and it wouldn’t hurt it to have a bit more variations, but it won’t bother you if you like this guys work. Regarding the artwork, I’m not the biggest fan of generic Goa artworks, but I know how much Imba likes alien imagery (as many of you), so this one makes sense. Even it's a bit short review under first few listens I can recommend First Encounter because it represents 7-8 years of hard-work by Nikola, not only in music making or music releasing, but also as being an important and vital part of this scene and culture. I didn't have any big expectations and I was positivley suprised by this album. It doesn't try or want to be something else, it's just honest and danceable Goa music from Balkan region - made with a lot of passion and as such, it should get a deserved attention and support. For more informations about this release, please visit official Suntrip Records website. My review has been updated. You can read it here and also cast your vote when you get the release. i am surprised richpa you give so much weight to the importance of the artwork - is it really a criteria that should represent 33% of the final rating? At some point you're right and it's one of the reasons why I decided to introduce a different aspect of rating the certain release. If you're aiming for music only, than judging by the score it gets 8+ grade, but for me personally, as a guy who pays a lot of attention to visual side of things, I had to point out what I like or dislike. Afterall, music comes with artwork and perhaps it's not in the focus for many people or reviewers (such as mastering for example), but I don't see any reason why we shouldn't give more attention to thoose things as well. To be fair with this one, I didn't enjoyed my own take with visuals on the EP because I personally dislike that type of imagery, but since artist connects his music throught that kind of imagery, I can understand. As said, I wasn't surprised because after reading comments like this or this it's pretty clear that - at this point of his development, at least - Imba's focused on the technique, on making the dancefloor "rock" and this he's got spot on! I only hope that in few years we'll see him develop further beyond the craftsmanship and into the realm of artistry. He has the skills, he has the ideas, he has the experience - what he misses (IMO, of course) is some music theory, some craziness in his arrangements; maybe he should try writing some other non-trance stuff? ...is actually backwards - he SHOULD collaborate as much as possible, because that's where his technical expertise complements somebody else's musical chops, resulting in great tracks like many of his remixes or collaborations, original Space Elves (Imba + CoaGoa, SETI Project & Arronax) album included. BTW, I love the cover art here! Happy to read 'negative' critics too and i exactly know what you think! As you noted i need music theory and yes i have 0, everything i make i make by ear and i was never attracted to study it while im 'addicted' to mixing. To be honest i had total freedom while making it and i am super happy because that. I expressed myself at present time and there is nothing better than that - full freedom and no rules or limitations for your creations. Every single little sound and noise was by my wish. And that's my vision of Goa trance these day. These days i got so many msgs, hourly and most of them are about modern sound. People are happy that they have 'compromise' between old and new sound. And yes, dancefloor exploding non stop and i was shocked to see that, i didn't expected such thing. I am trully happy because all of this but i am really sorry you are disapointed. As they say, you can't satisfy everyone Hopefuly you will enjoy some future releases, there will be few more old sounding tracks. Thank you for feedback! @Imba, there's nothing wrong with your sound and the choices you've made, but review is - as I see it, mind - a deeply subjective thing and I just want something more from music than a good drive, deep rolling bass and squaky acids/FX. Those are obviusly important, after all it's music to dance to, and you got that covered already which in itself must have taken a lot of work and dedication! As I said, in 2nd half of the CD I clearly see there's potential for you to reach the next level, to get past the "technical" side and express yourself in more emotional, musical - or maybe more crazy & psychedelic - manner. And just like Hallucinogen, Cosmosis or Koxbox who - for me, at least - peaked with their second albums, I'm convinced you'll get there too and the immediate success you're finding in the parties or on the festivals will give you confidence to do so! I havent seen this much constructiveness and comradery on internet...well... ever! What a pleasant read. Really dig the album. Lot of effort put into production quality and I think this pays off - clean kicks, driving basses, catchy acid lines, all sounds excellent. What I often dislike about goa is that there are many screechy ear-piercing tones coming from high resonances, here it is carefully controlled. I hope to hear more melodic and sonic variety in future releases but what we have here is already very good. What I often dislike about goa is that there are many screechy ear-piercing tones coming from high resonances, here it is carefully controlled. Thanks a lot, glad you enjoyed! Good approach. Mix. Then rest ears and come back after few days. Repeat until satisfied. I do the same and it works pretty much, gradation of LD sound can be heard from first release onwards, same with you as I see. + Cosmos In Her Eyes is hands down the best track on this album for me. - -/+ Predictable. Throughout the album I had a feeling that I knew what was going to happen 15 seconds before it does and how he is going to do it. Its like I heard the tracks before but I didn't. I had this feeling the most when he was building op to blast his full on melodies. Now, Im not sure if this patterned musical mindset that he has when he is making music is bad or good. Good because he found the formula that he likes and that works (+) and bad because it gets predictable (- -). "At that moment, I looked into her eyes and saw...eternity." Great, now I don't know where to stare! Antic's review had so many spot on points (bass lines, dynamism, etc.) that there isn't much to add. Our boy does love aliens and this is surely cosmic melodic alien goa trance. Anyone else feel like it's our younger brother growing up before our eyes? The science fiction vibe permeates the entrie album which makes sense because like I said he loves him some aliens. Like Richpa mentioned this album sounds exactly like you'd expect it to sound based on his previous works. Melodies and 4 on the floor trancey dance music. So while not surprising and hardly revolutionary, it's enjoyable for what it is. I didn't hear many empty moments and was particularly impressed with the sounds and emotions elucidated when the kick was absent. His breaks felt very organic and his sample game is on point. Fair to say that he's on the right track and just needs to expand the dynamic range (depth) in his music as well as work on his bass line variation. I liked the cover also. One does want a hint of color, yes? Very, very nice kicks!!! The kicks are not predictable compared to the normal kind of kicks... So: For me it fits perfect! I've been meaning to review this for months. Some of these songs will be great for dance floors. But for home listening (me personally) not so much. And for home listening I found a good amount to enjoy here. There's a lot I like and don't like here. Where to begin? The intros are intriguing and mystical. But the overall style and the songs (at times) sound generic compared to them. I love the artist's use of ambient. It creates warmth and emotion, though the personality of the tracks does not always reflect the promising impression of the ambient introductions. I really enjoyed chunks of Hidden Paradise, the entirety of Cosmos In Her Eyes, the second half of Blacklight Beings, the first half of Lydia Delay - After All (Imba Remix) and Rising Sun. Unfortunately, I can't escape the more mainstream sounding style and Trance influence that makes certain songs (or parts of them) sound too formulaic at times. Some of these songs just sound too similar too, or at least extended parts of them do. It's as if the artist took Goa melodies, plus some extra Goa ingredients, and made a Trance structured album with them with exception to a few tracks. There is some beautiful work as the album progresses. I simply wish the artist would swim further away from the shallow waters and produce a definitive [stellar] Goa-Trance album if producing electronic music is going to be his legacy unless he prefers to do mainstream-influenced Trance Goa (if that makes sense). The end result here is a mixture of good, great, and some not so great work, the latter more likely to please the general Trance crowd despite Goa influence (more or less) in virtually every track. If Imba enjoys this type of style music, he should stick with it despite criticisms. He could improve this less elaborate approach, and take the safer (potentially more profitable?) route assuming this release is really that successful. It's bound to attract positive comments from a few those less familiar with Goa music, and probably a few who love Goa as well. To the contrary, many Goa listeners have stepped away from anything that sounds like general Trance. We prefer more spice to our tea, complexity (for the most part), fantasy, and depth. Unfortunately, I feel like these, with few exceptions and along with some other more advanced aspects of Goa-Trance, took a backseat to this album despite the enjoyable, fun parts. One of my biggest problems with this album, is that many of the synths that the artist selected, stand out too much on their own, instead of coming together more cohesively to compliment the whole. Another issue is the more club-friendly trance influence despite NO track ever sounding like "club trance" (at least not as a whole) per say. Nevertheless, these more standard (formulaic, predictable... call them what you will) influences take away from the more imaginative and delectable aspects of Goa-Trance. Maybe Imba was going for higher sales, tracks with appeal to a wider (less Goa alone) audience. Maybe the idea was to make Goa-Trance sound more mainstream friendly. I don't know. I mean, who doesn't want higher sales? 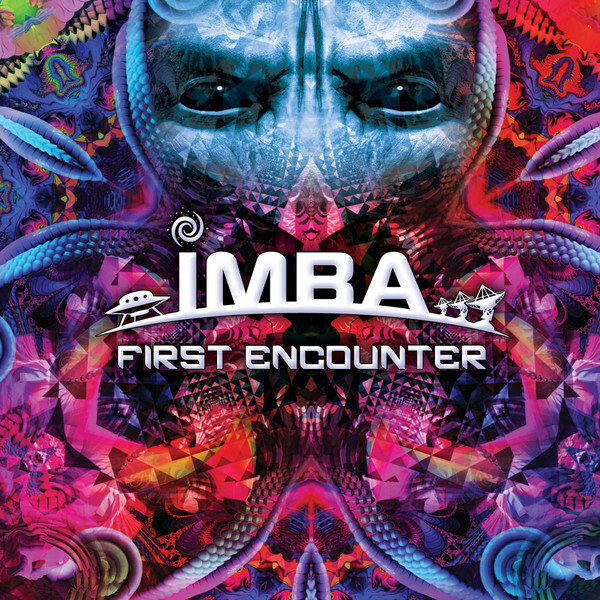 I think Imba's great with Goa-Trance, and I'm glad his tilt is towards Goa here, despite some of the melody arrangements lacking complexity and appearing to go through-the-motions at times. The album has many evocative moments (mainly the intros and interludes), buildups, and other changes to keep the general listener entertained. I'm sure some of these songs will do well on dance floors and I enjoyed a handful for home listening (more or less). I simply don't know if Goa listeners (primarily when it comes to home listening) will feel the same, by and large. That said, those looking for fun, more mainstream sounding Goa-influenced tracks should find plenty to like here. Even in terms of Goa, the artist has done some great work. But for me, I expected more, or rather something different. I mean, if you want to make a more mainstream friendly Goa album with more memorable melodies, listen to EPHEDRA's Citric Storm song from 2016's "Flying Over the Universe" album. Or RA's 12th Hour (with. Menkalien) song. The leads on those albums stand out, but never too much for their own good, All in all, viewers should listen to this album, at least online, and decide what they think for themselves. Nitpicks and complaints (constructive criticism) aside, this is a pretty solid release. Stream the full album here! Sorry, didt want to quote my own post, wanted to edit... However, nice music. True. Its great to see how much his sound improved over the years..
Hidden paradise is my personal favorite but I really like tracks like First Encounter, Blacklight Beings and Creature of Heaven. Good work Imba & Suntrip! Congratulations to your release on Suntrip!! I havent listened to your album yet, although i skimmed thru a few tracks on youtube just to get a grasp of the sound. Just wanted to say that I think it sounds clean, and I kind of like your sound even though it reminds me a bit of a generic mix between Electirc Universe (post-goa) and Talamasca (post-goa). They both made sweet goa then changed direction into a more fullon style, "progressive goa" and there is nothing wrong with that, but I get why people get turned off from it. Either way I might return here once I listened to the album. I have 1 year+ of catching up to do, music-wise. I really like this album, I mean it is not too often these days you can hear modern goa trance with room between the layers, all tracks are nicely built with impressive attention to details. Imba's sound improved dramatically since the first track I heard back in 2013! (that was the track in Sideffect compilation). I can confirm that Imba's tracks set the trancefloor on fire! Without mercy, Imba, amongst others, pushed the limits of our dancing endurance. His set at Dreamwaves II (Belgium) on 22/12/18 was amazing. I think the whole album was presented to us. The beats and rollercoasters took us to another world. His b2b with Ephedra was the cherry on the cake. Well done, Imba! And nice talking to you and Ephedra outside.